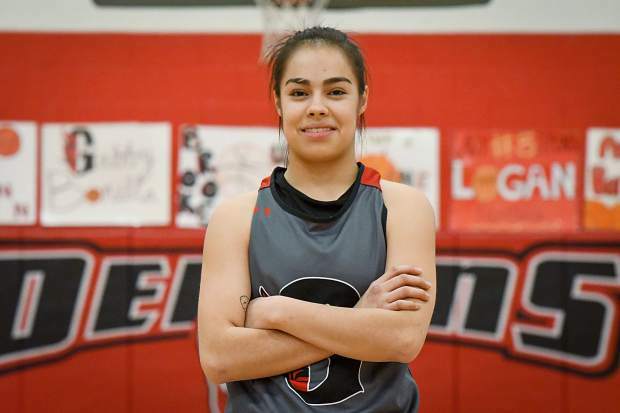 Glenwood Springs senior guard Ximena Gutierrez has gone from the wide-eyed freshman four years ago, to a star senior leader for the Demons girls basketball team. 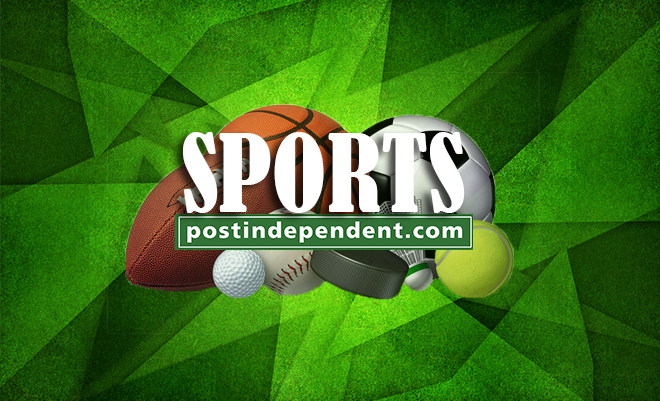 Four years ago, then-freshman guard Ximena Gutierrez burst onto the scene as a hard-charging fireball of energy for the Glenwood Springs Demons girls basketball program under then-first-year head coach Rhonda Moser. Right away, Gutierrez stood out on the court with her physicality on defense, playing a key role at the top of Glenwood’s press. With that physicality often came a lot of foul trouble throughout the season, which frustrated and often disheartened the young Gutierrez. But now, winding down her senior season for the Demons under Moser, the four-year starter has channeled her physicality into becoming one of the top defenders in the state. Playing rugby in the fall, according to Gutierrez, really helped her become confident and comfortable in her own skin as a self-described tomboy. Her aggression on the court can rub some players the wrong way and often leaves opposing coaches questioning officials on how much Gutierrez is allowed to get away with defensively. The Demons will take what they can get out of Gutierrez on defense, though, which is a high number of steals per game (3.6, tops in the 4A WSL), and a work ethic and mindset that has helped turn Glenwood’s vaunted defense into one of the toughest to play against on a nightly basis, allowing just 37 points per game on the year, second-lowest in the 4A Western Slope League. “She’s really learned how to take care of business at that end of the floor,” said Moser. “She raises the energy level when she’s on the floor, and she really sets the pace defensively for us. Ximena is a great leader defensively. 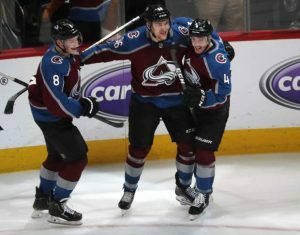 Controlling her effort level at the defensive end and her ability to outwork others at that end of the floor led to Gutierrez establishing herself as one of the top defensive players in the league. In recent years, Gutierrez has been asked to step up offensively, providing the Demons with a proven scorer. That need for a proven scorer was never more needed than this season after the graduation of Maddie Bolitho, Tatum Peterson, Dani DeCrow and Ellie Moser off of last season’s Glenwood roster. Fellow senior guard Emily Worline has stepped up for the Demons from beyond the arc, but it’s been Gutierrez who has upped her scoring output this season, pouring in 9.9 points per game while also adding in her ability to be a strong passer. 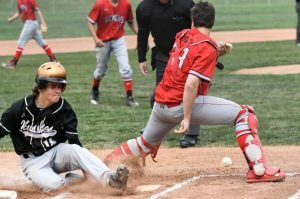 The thing that helped Gutierrez grow into a go-to scorer this winter for Glenwood was something so minor, yet so important for any athlete: confidence. This season, Gutierrez finally feels like she belongs. Gutierrez has a slick handle at the point for Glenwood, blowing by defenders with a quick crossover, or putting the ball behind her back to beat a defender in the press. With her ball handling growth has come an improved ability to pass the ball to set up teammates, as highlighted by her nine-assist output on Jan. 29 in a home win over Summit, 67-34. Her physicality defensively has also led to her being able to finish at the rim consistently on offense this season, especially through contact. On the year, Gutierrez has attempted 42 more free throws than the next-closest teammate, averaging nearly four free throw attempts per game for the Demons. Her strong career is coming to a close, but she’s left behind a legacy of physical defense and a work ethic that has gone unmatched, raising the bar for future classes. The senior hopes to play basketball at the next level and has at least two schools interested in her at press time. For now though, she’s focused on making this final run with Glenwood count. Gutierrez and the Demons return to the court Saturday for a league clash with the Steamboat Springs Sailors at home. The senior guard will be one of six girls basketball players honored on Senior Day.